Anything iTech Martha’s Vineyard began in 2008, as Anything Apple Martha’s Vineyard, when Louis first began his teaching career. Unfortunately, the salary at the beginning of teaching career was quite low, so he put his computer skills to test working fiendishly after hours and on the weekends for friends and family. Over time his connection to the community grew and demand for his services grew as well. Our dedicated clients are the heart of our business. We wouldn’t be here today without them! In 2012 Louis took his ACMT and became an Apple Certified Macintosh Technician, which is the highest level of certification that one can achieve in the Apple world. In 2017, Apple took down the Anything Apple facebook page without any warning and forced the name change from Anything Apple Martha’s Vineyard to Anything iTech Martha’s Vineyard. It wasn’t fun, but worked out …. ok. We are happy to be back up and running under the new name without any fear of reprisals from Apple. When we first started out we the world of computing was very different from what is is today. The idea behind “Anything” was that we truly serviced “anything” that Apple created. There were no iPhones, no Apple Watches, no iPads. Our work focused primarily on client issues ranging from managing printers and networks to replacing hard drives and solving software issues. We often repaired iPods and replaced MacBook and MacBook Pro screens as well. Ten years ago we saw much more liquid damage in laptops than we do today, primarily because, we believe, people used their laptops more. As time passed and the advent of the iPhone and iPad occurred we began to see a change in the balance of what we were servicing for clients from computers to iPhones. Over time, Apple has created products that are less and less serviceable. Unfortunately, it seems to be part of their business model, but we have worked hard to learn the nuances of the new technologies that they have produced and look forward to continuing to keep our hands on all of the new tech as it comes out! 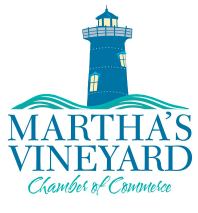 Today, we offer repair and support for Apple products to residential and bussiness clients on the island of Martha’s VineyardAnything iTech Martha’s Vineyard specializes in Apple iPhone glass repair and provides full service, support and maintenance solutions for Mac and PC computers for the home and office. Weekly Tip: Start taking advantage of the cloud!